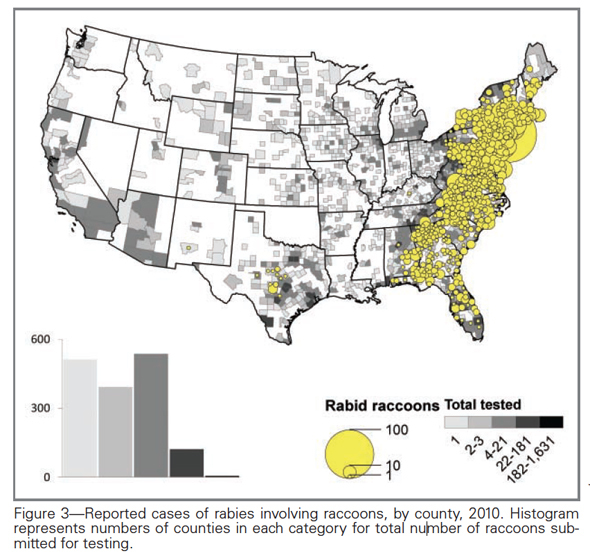 The news came via a presentation by Richard Chipman, Assistant National Rabies Management Coordinator for USDA’s Wildlife Services (yes, that Wildlife Services), and several of his colleagues at the Northeast Association of Fish and Wildlife Agencies’ Conference in April. I haven’t looked into the hunting connection just yet, but let’s assume for the moment that McCoy’s correct about that. 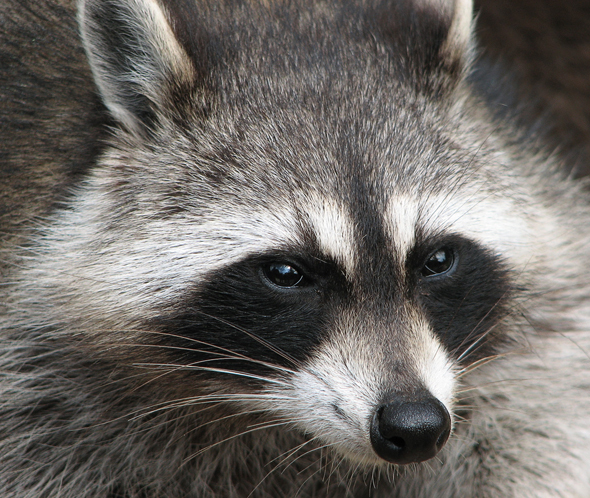 The raccoon variant of the rabies virus that’s been associated geographically with 82.2 percent of rabies cases in cats—as well as 88.1 percent of cases in foxes —can be traced to careless hunting practices? Well, that might explain why the story hasn’t been picked up by The Wildlife Society, which endorses hunting, “when properly regulated following biological principles, [as] an appropriate means of managing wildlife populations.”  This, of course, is the same organizations whose CEO/executive director was, just last month, blaming (without, it seems, the burden of even the most cursory research) feral cats for a rabies “outbreak” around Carlsbad, NM. No mention of the ONRAB story by the American Bird Conservancy, either—perhaps because their “concern” for rabies begins and ends with free-roaming cats. As I say, I’ve yet to dig into McCoy’s claim about hunters “importing” raccoon rabies into the mid-Atlantic states 40 years ago. If true, it begs the question: Was there any opposition from the various organizations now so eager to play the rabies card in their witch-hunt against feral cats? 4. Smith, M. (2012, April 14). Rabies outbreak suspends Feral Cat Program. Carlsbad Current-Argus.